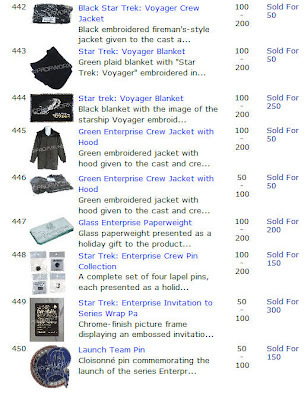 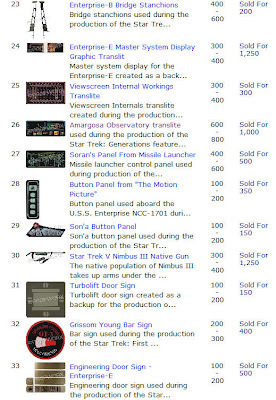 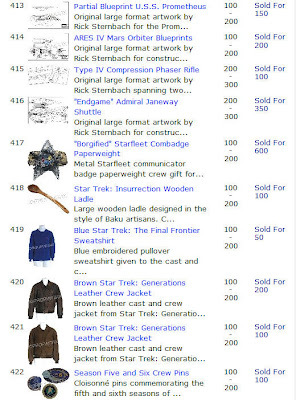 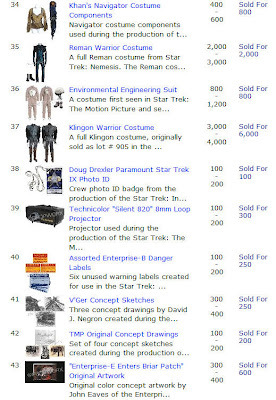 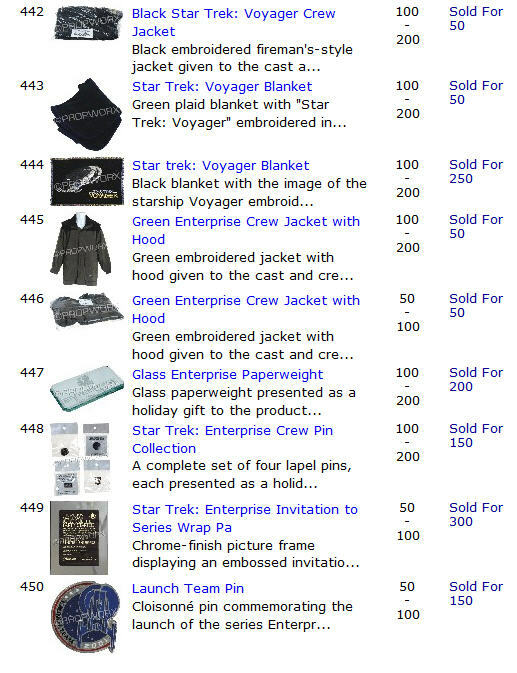 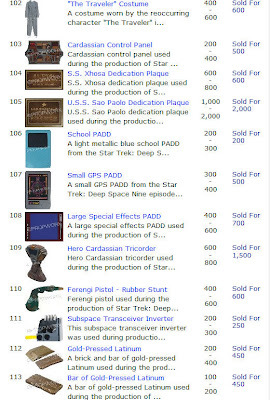 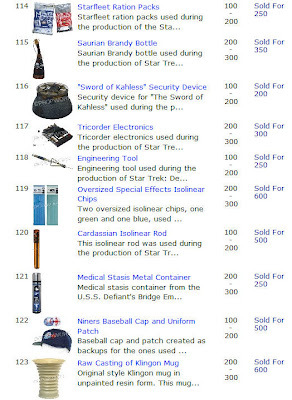 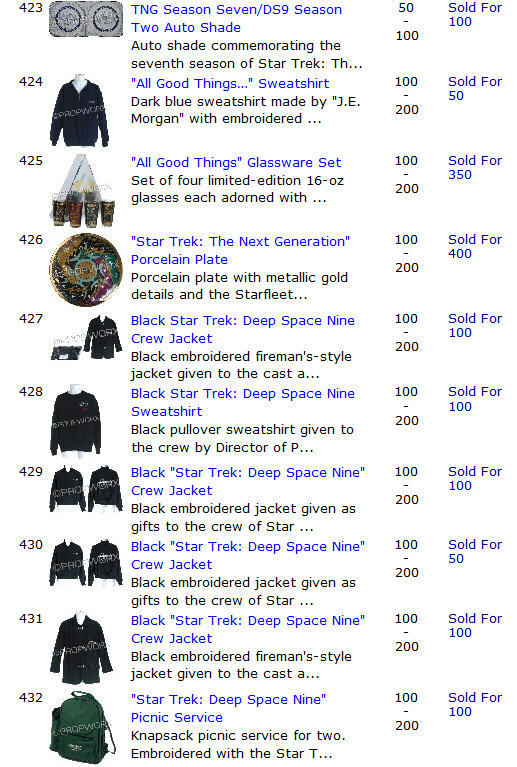 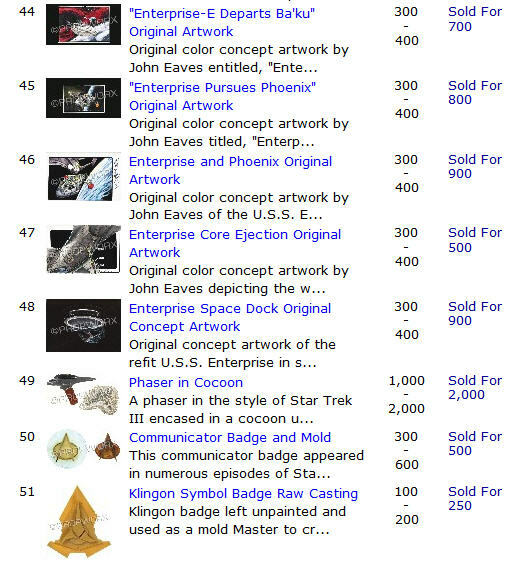 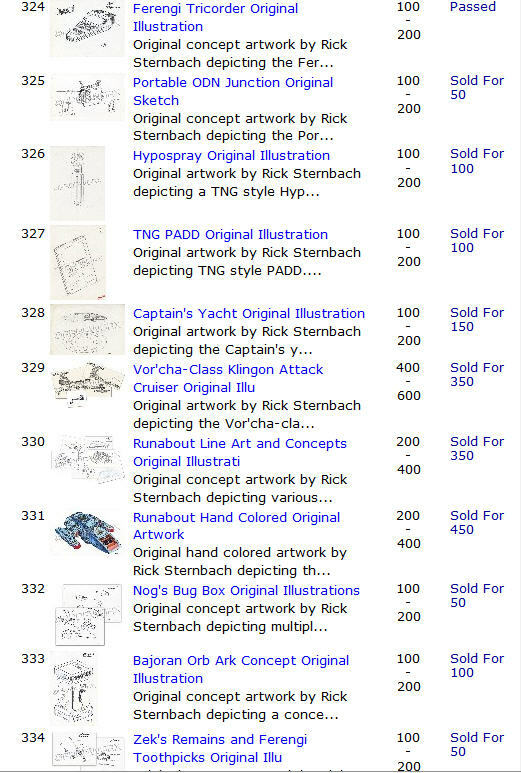 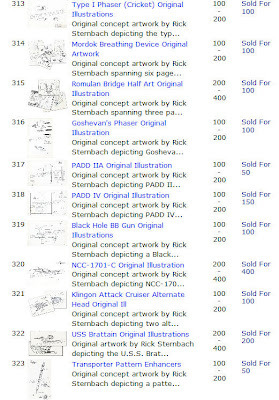 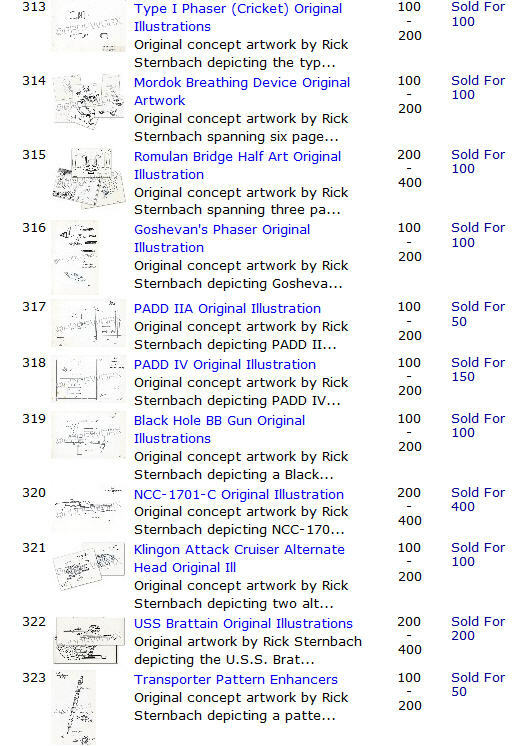 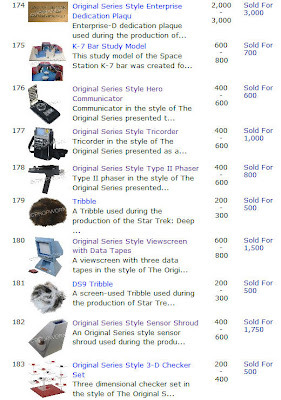 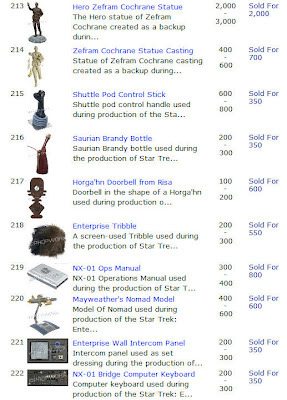 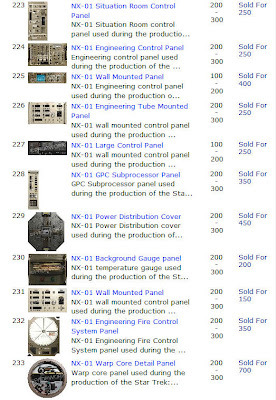 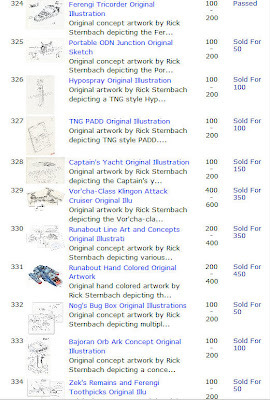 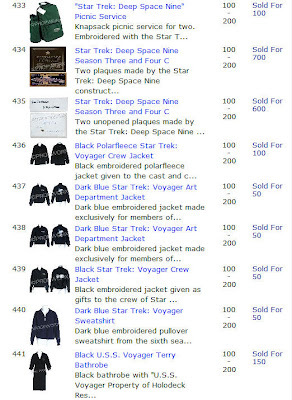 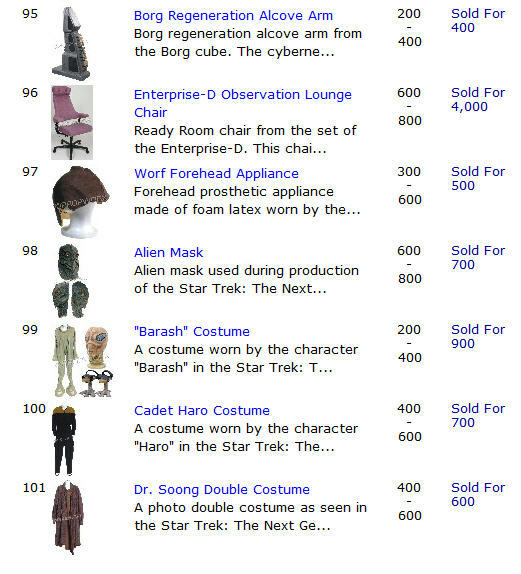 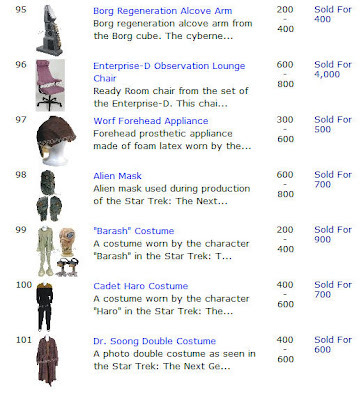 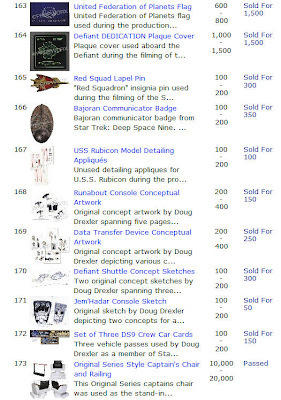 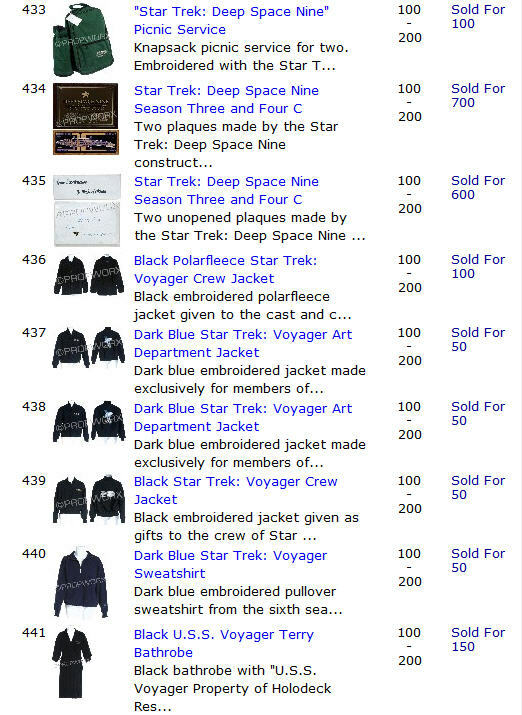 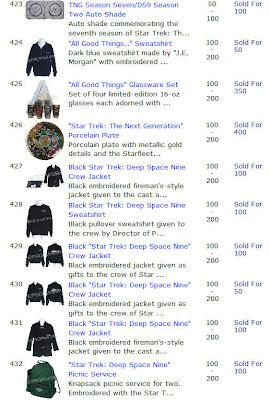 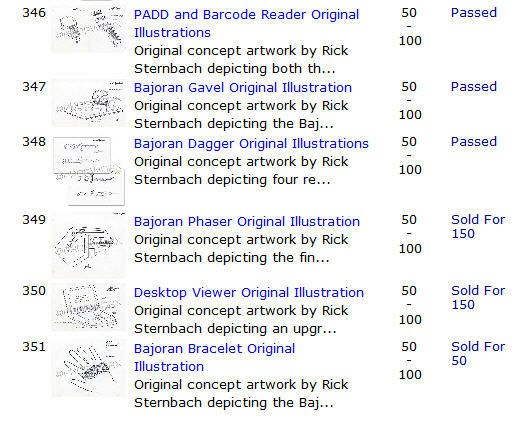 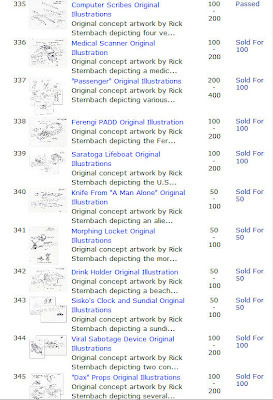 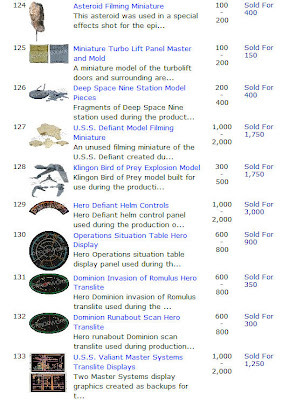 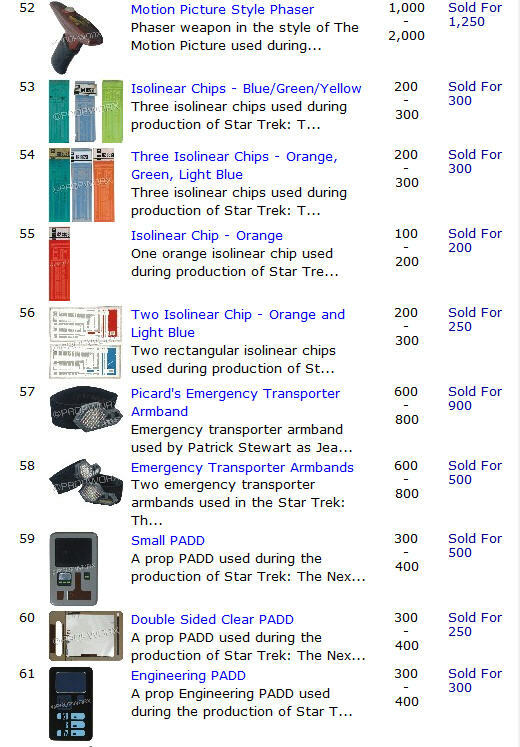 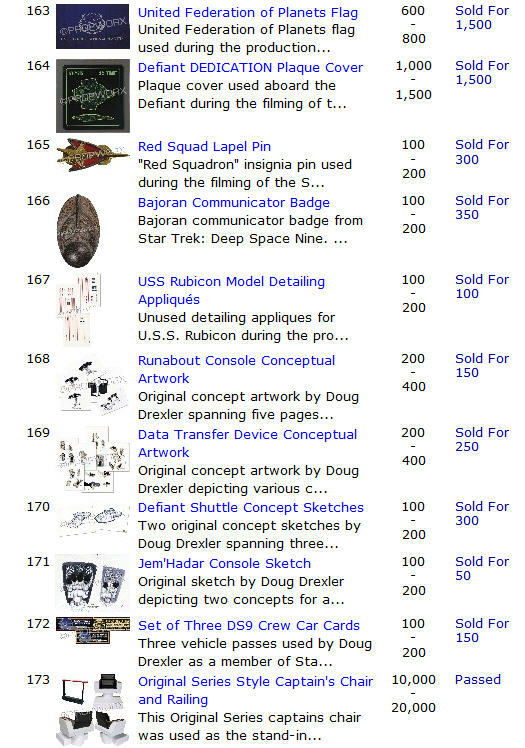 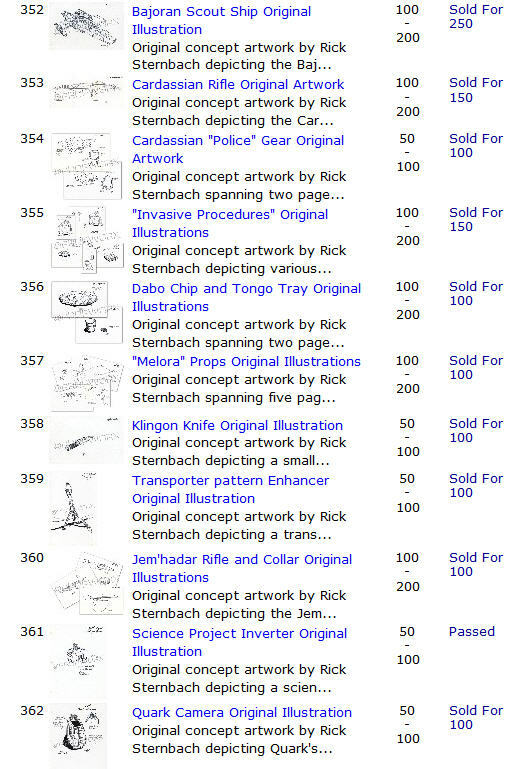 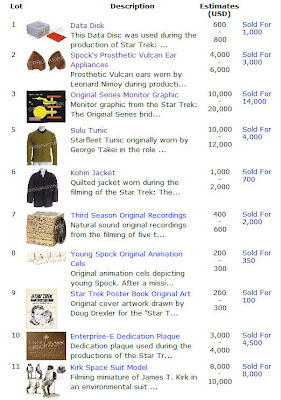 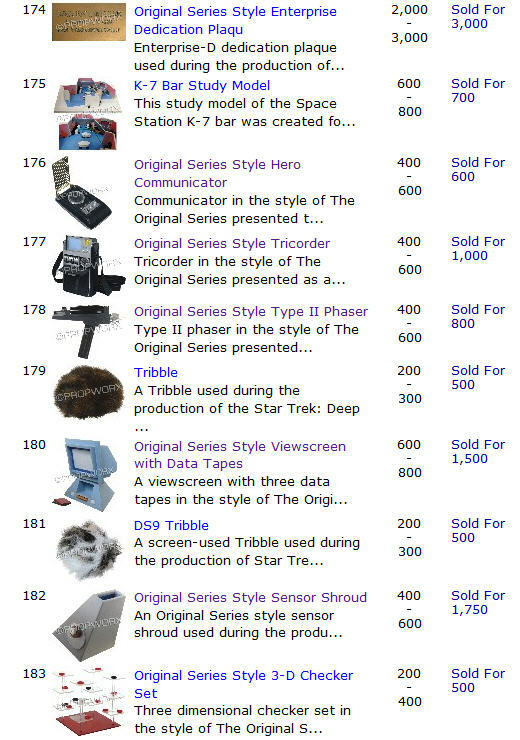 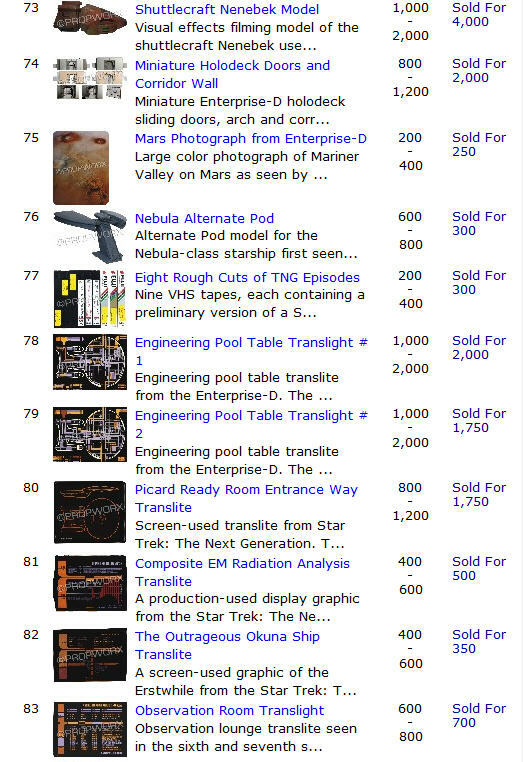 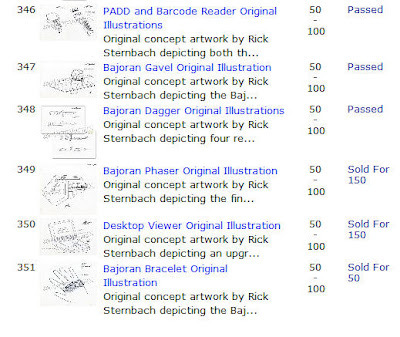 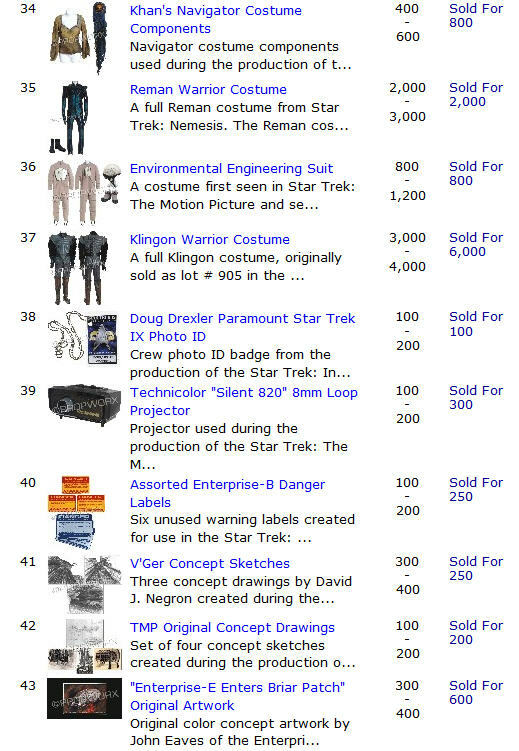 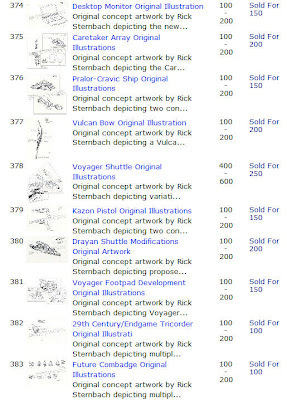 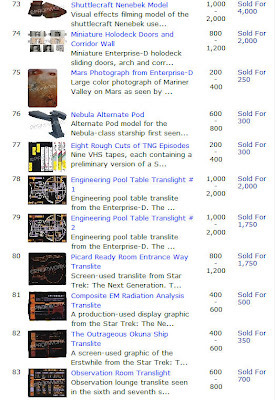 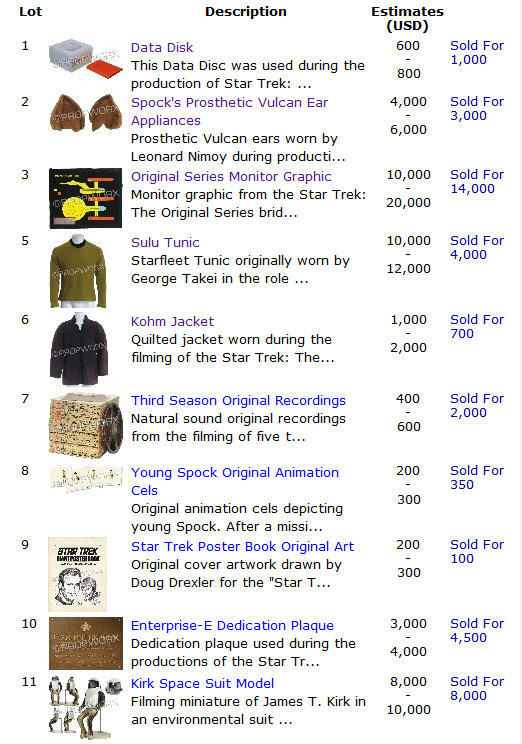 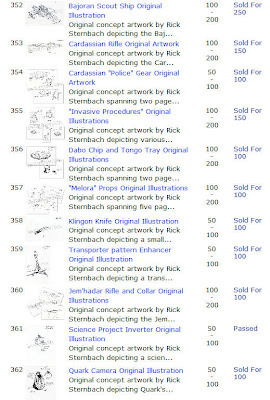 Presented below is a complete listing of the final hammer prices realized for the 450 lots of Star Trek memorabilia that were sold on Sunday, August 8th at the Propworx Official Star Trek Auction; which took place on-site at the Las Vegas Hilton as part of the final day activities of the Creation 2010 Star Trek Las Vegas Convention. 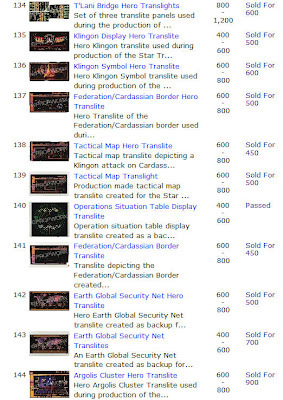 Some highlights of this very exciting event, which filled the large Pavillion 6 auditorium with spectators and bidders, were the sale of a Star Trek: The Original Series Monitor Graphic for an impressive $14,000 as well as the sale of a Klingon D-7 Battle Cruiser Special Effects model created during the production of Star Trek: TMP for a final bid of $10,000. 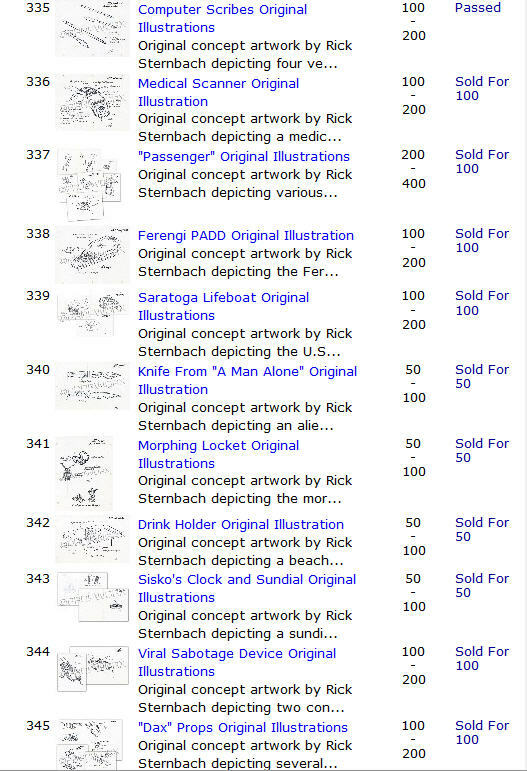 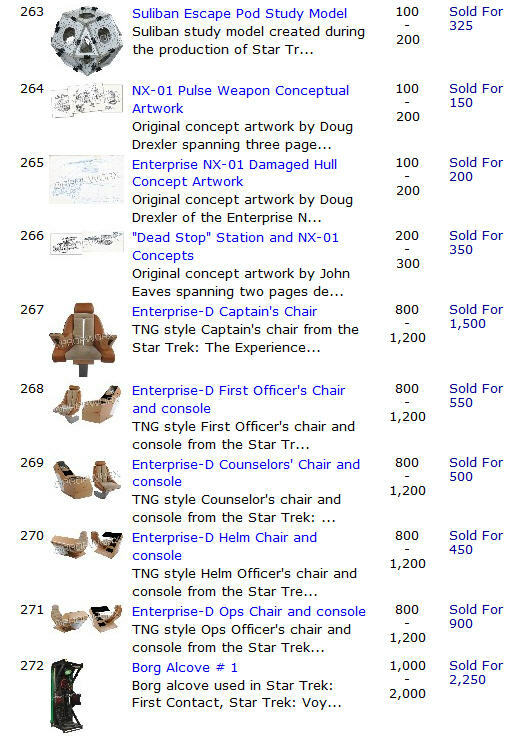 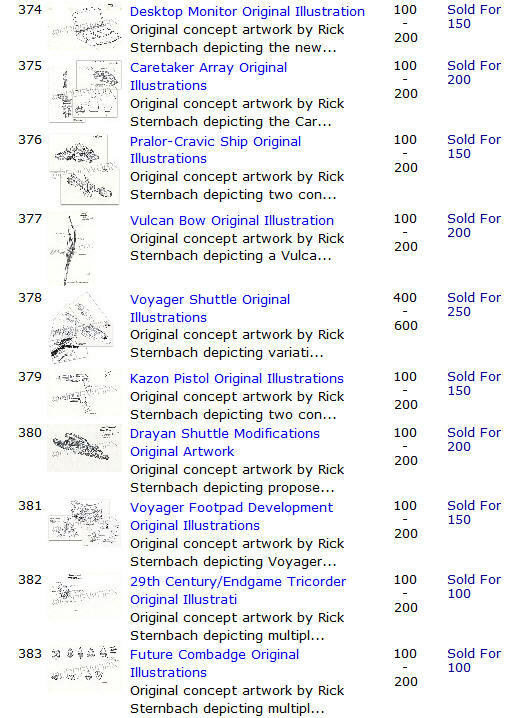 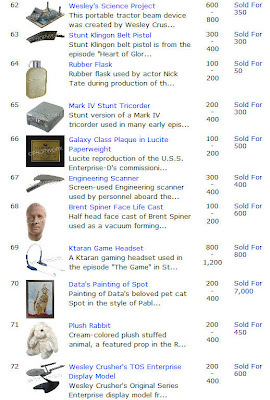 Lot 70, Data's Picasso-style Painting of Spot, the beloved pet cat of the Enterprise-D's Chief Operations Officer, had a pre-auction bid estimate of $200 - $400 and realized an astounding final hammer price of $7,000 - not including the 20% buyers premium. 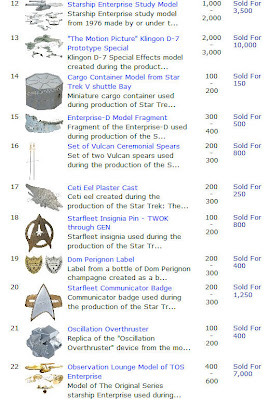 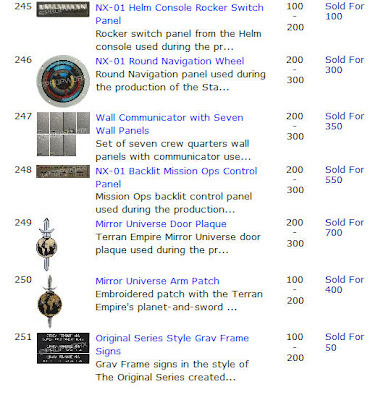 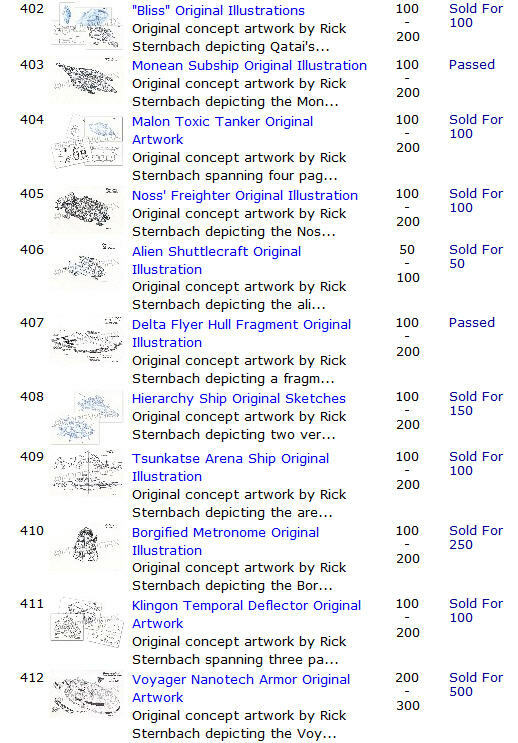 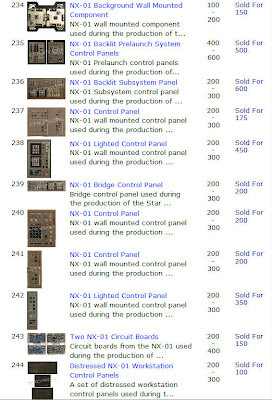 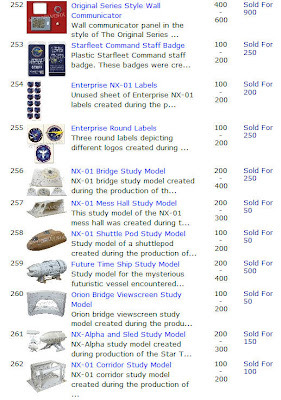 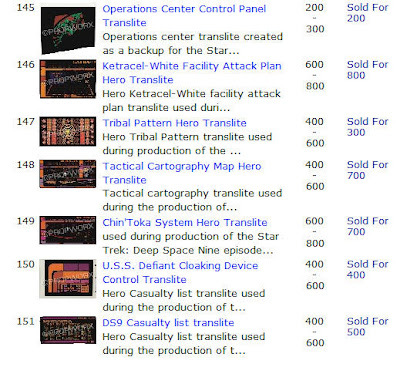 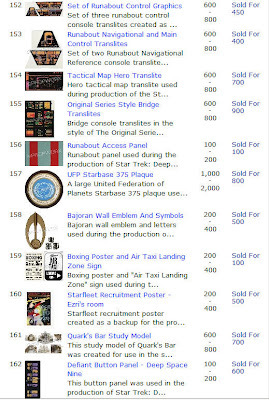 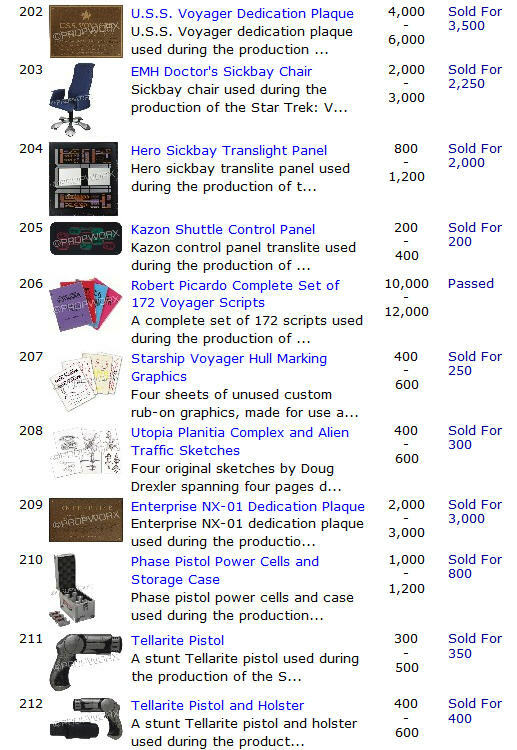 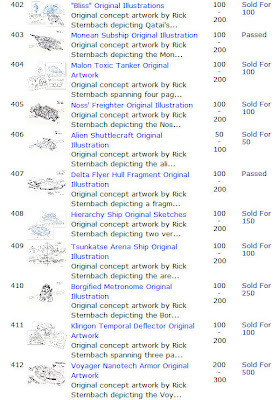 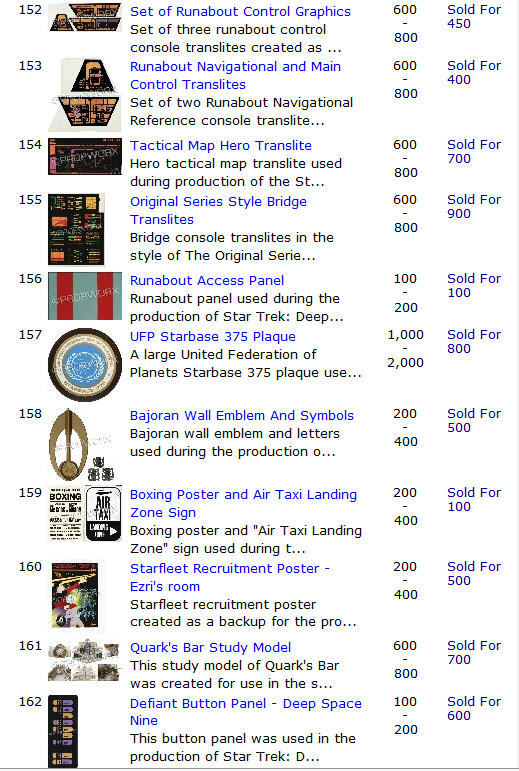 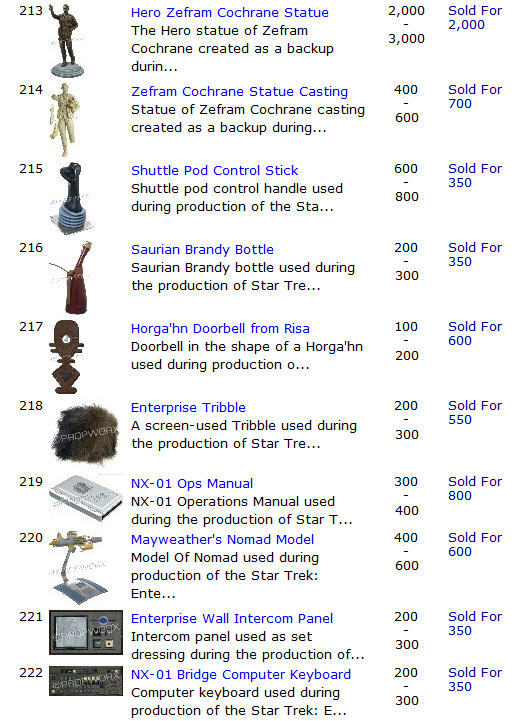 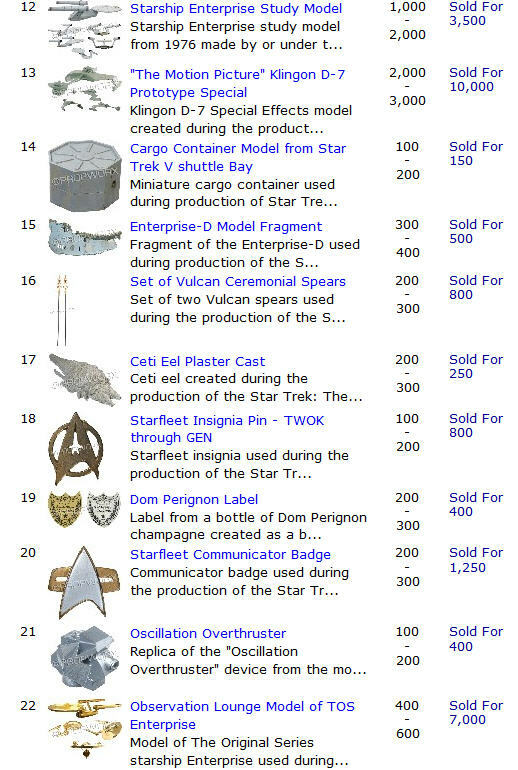 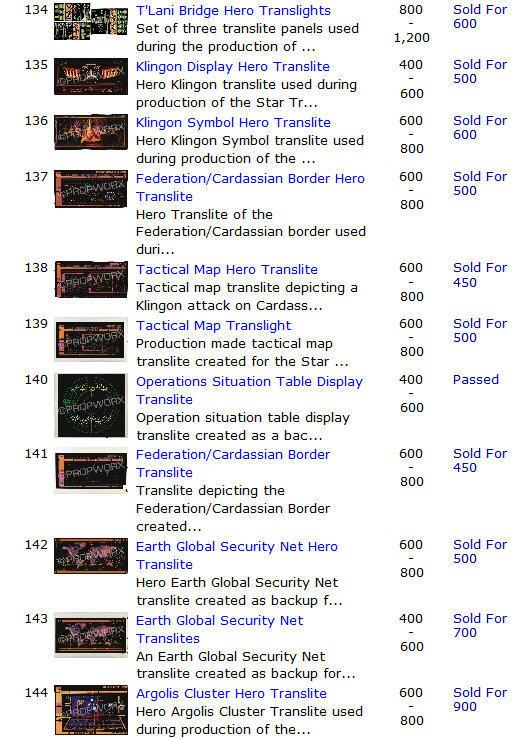 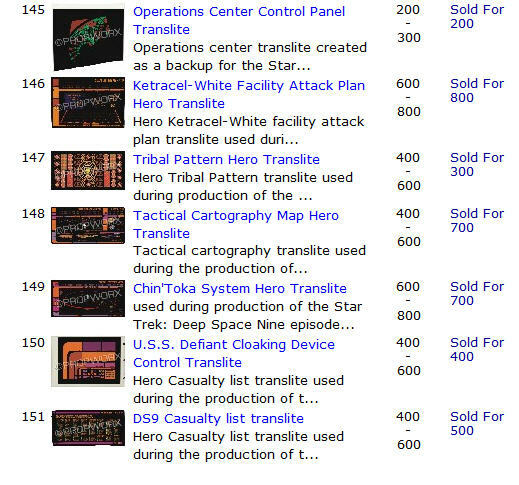 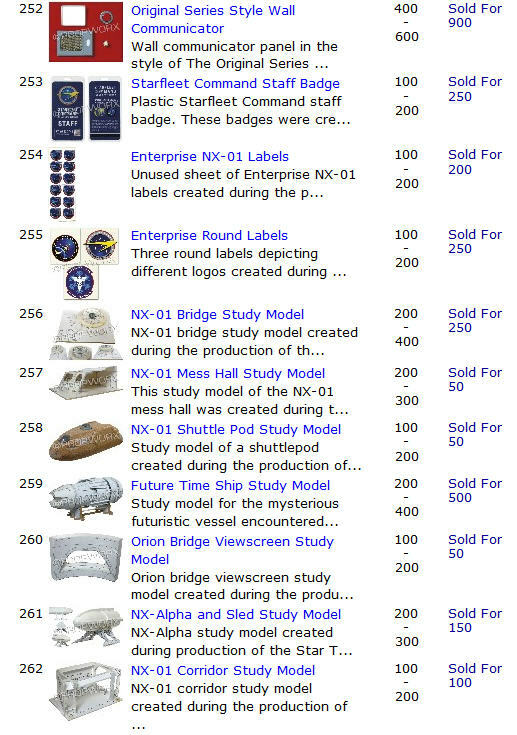 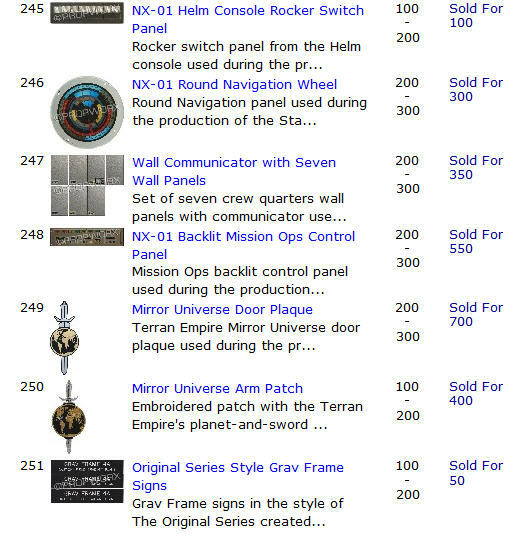 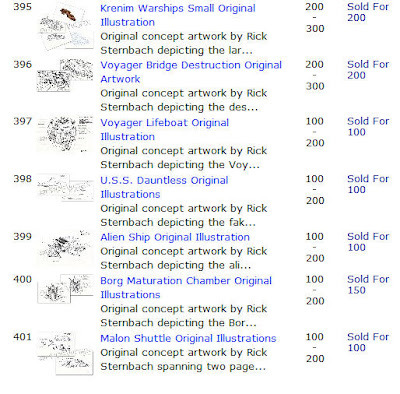 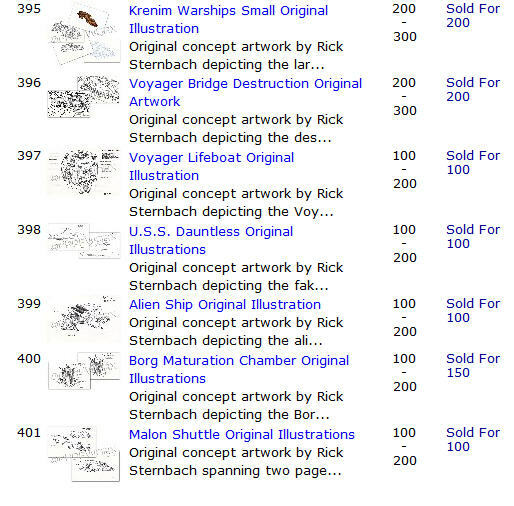 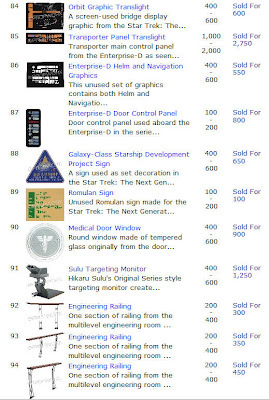 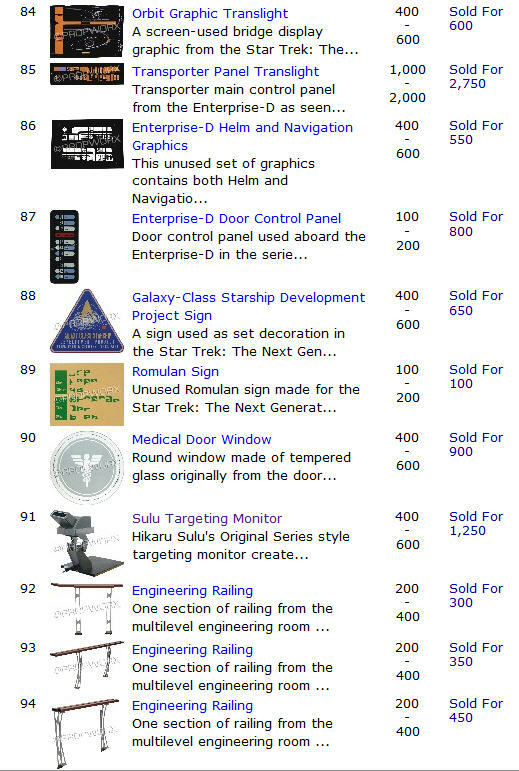 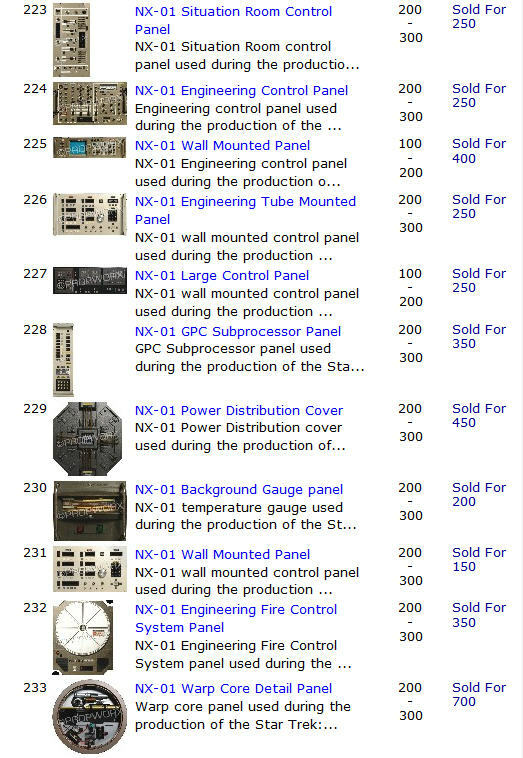 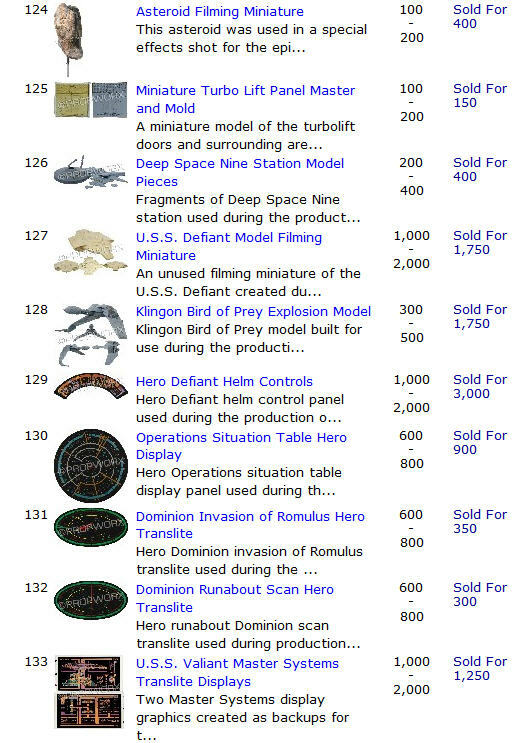 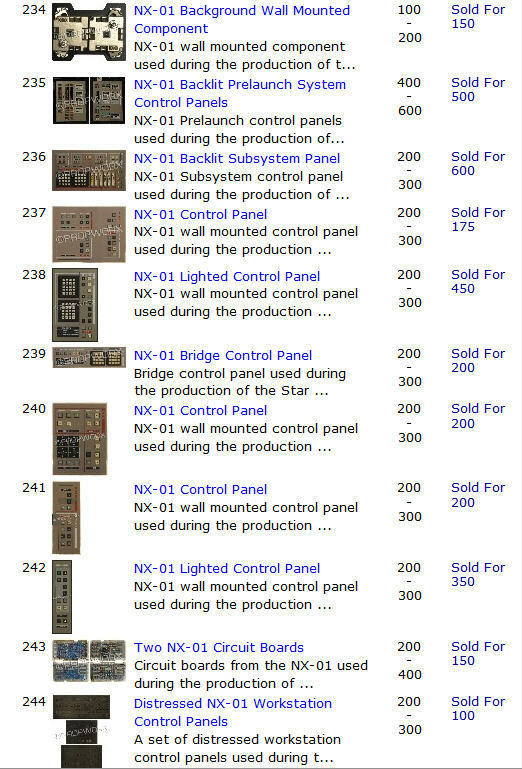 Screen used starship dedication plaques were also in demand, with examples from the TOS-style Enterprise (used in DS9 "Trials and Tribble-ations"), the Enterprise NX-01, and the U.S.S. 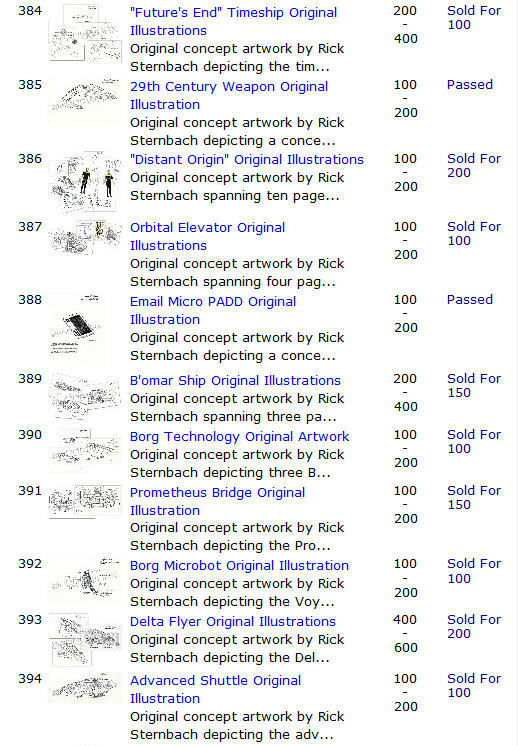 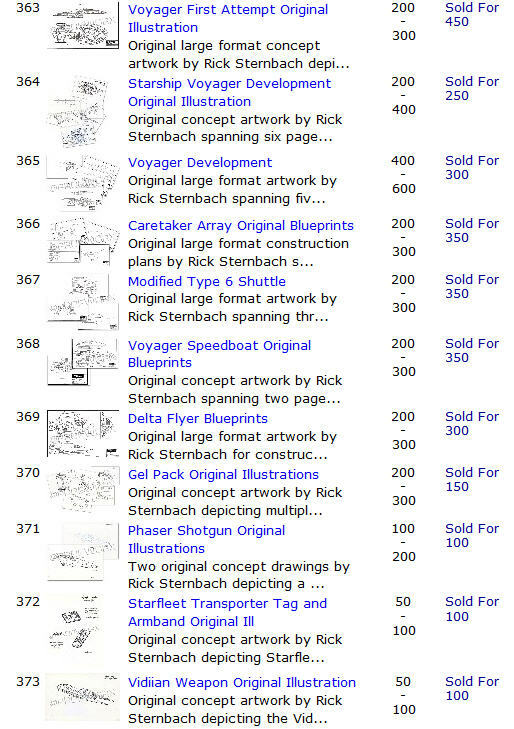 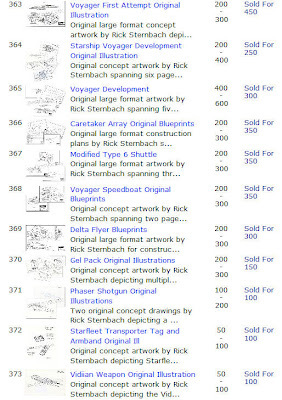 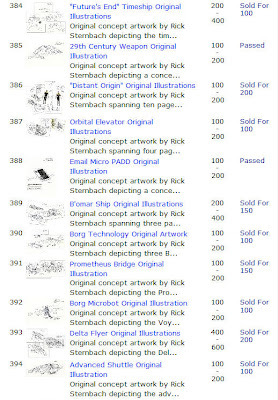 Voyager each reaching in the $3000 - $3500 final bid range. 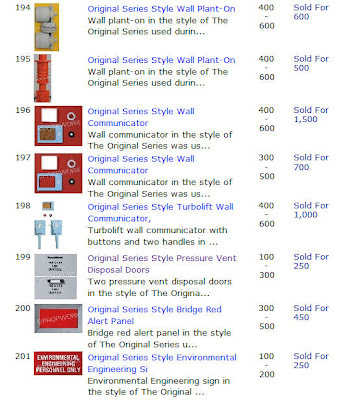 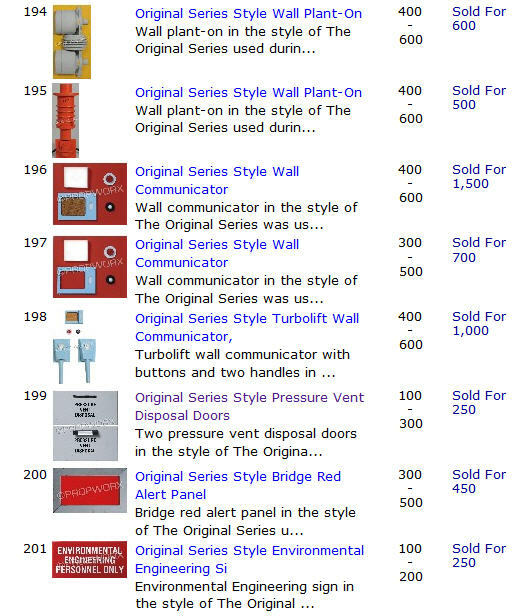 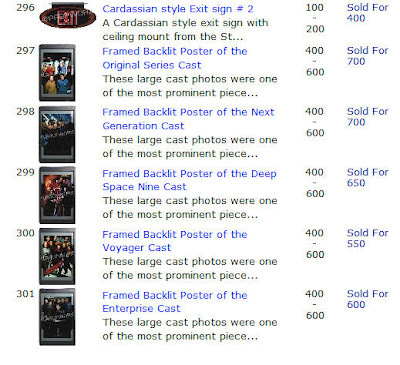 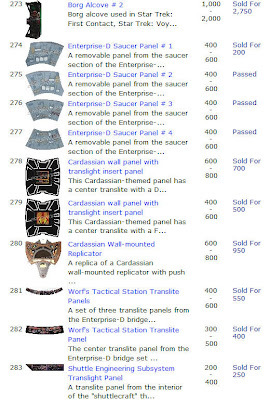 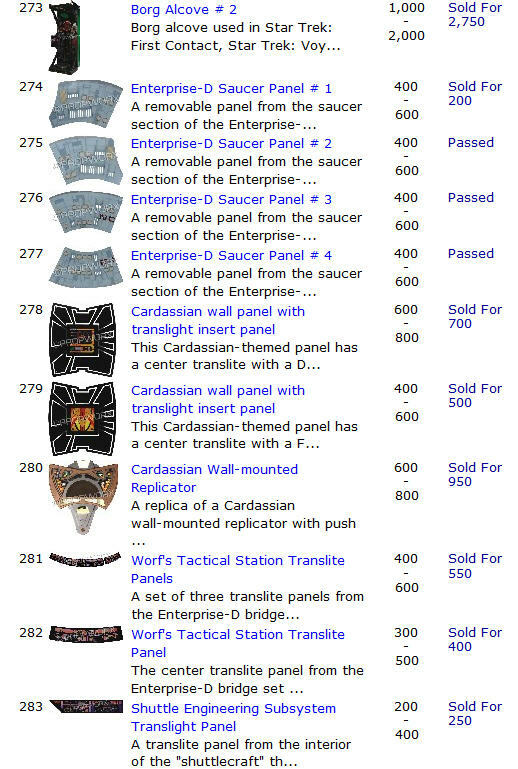 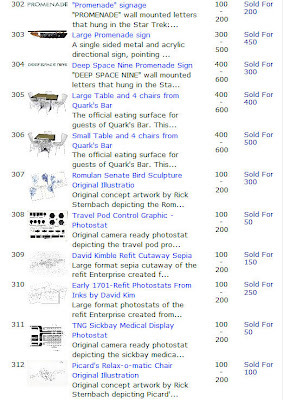 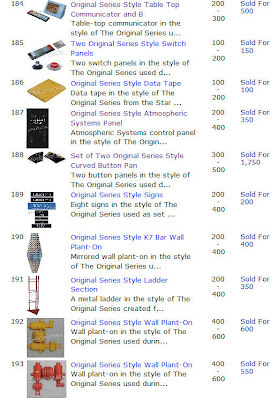 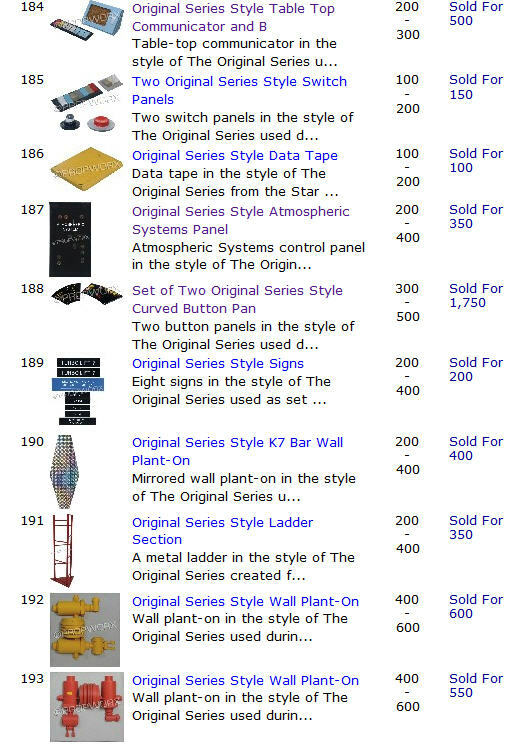 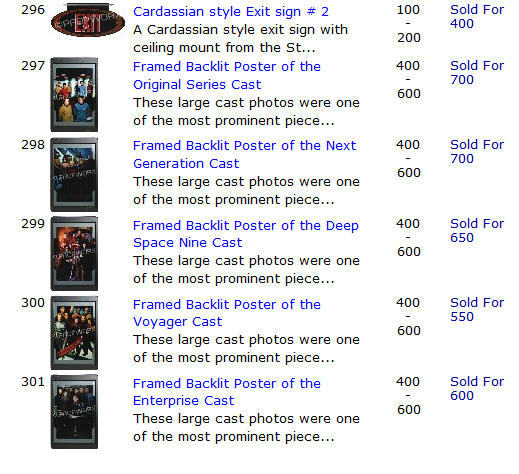 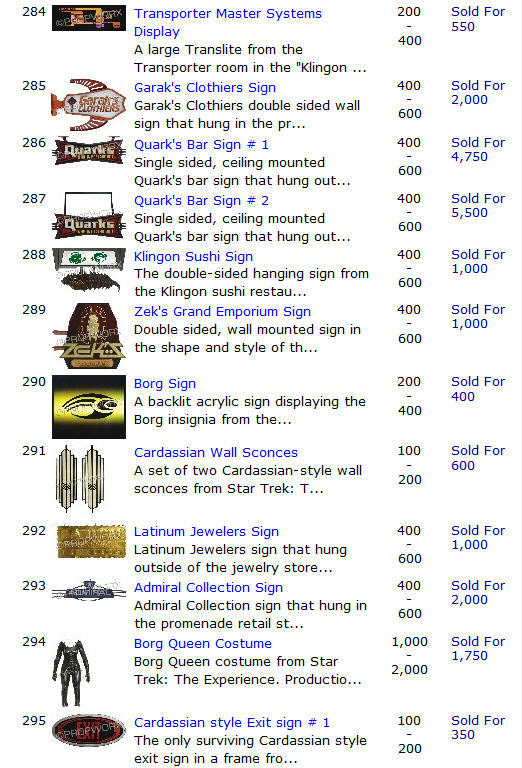 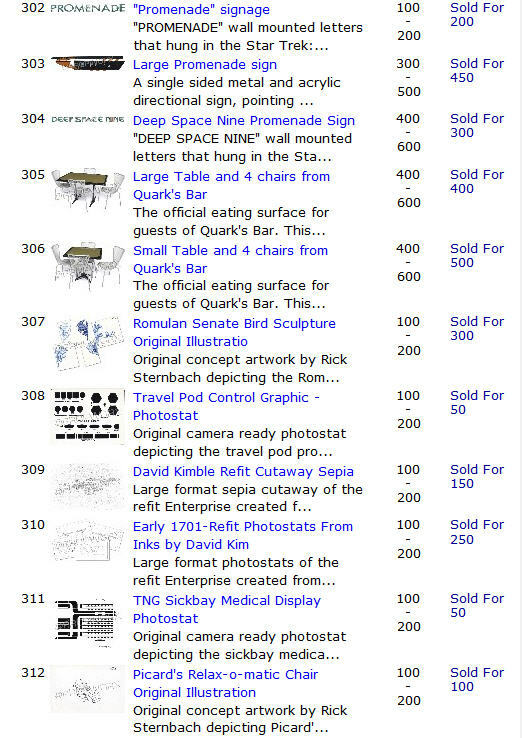 Another unexpected highlight of the auction was the sale of two Quark's Bar Signs which hung outside the restaurant at Star Trek: The Experience and realized hammer prices of $4,750 and $5,500 respectively.